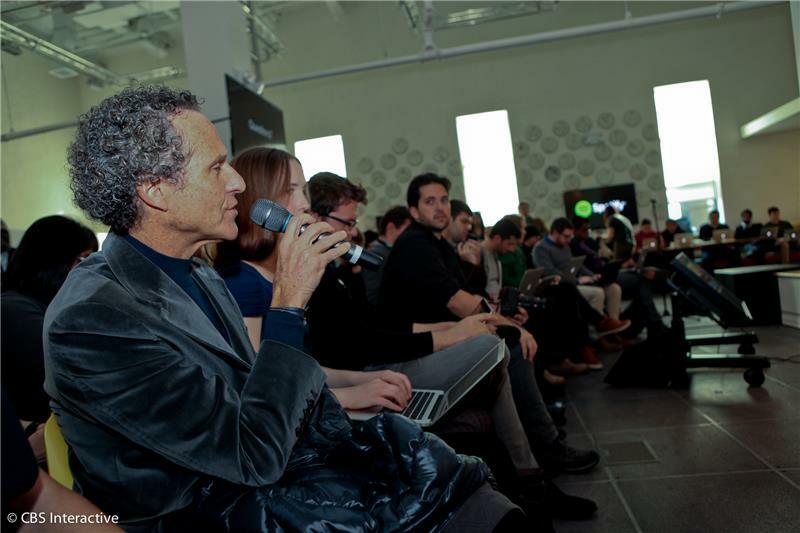 An event to show off Spotify's latest music service. Ek pulls up his playlist for current favorites. 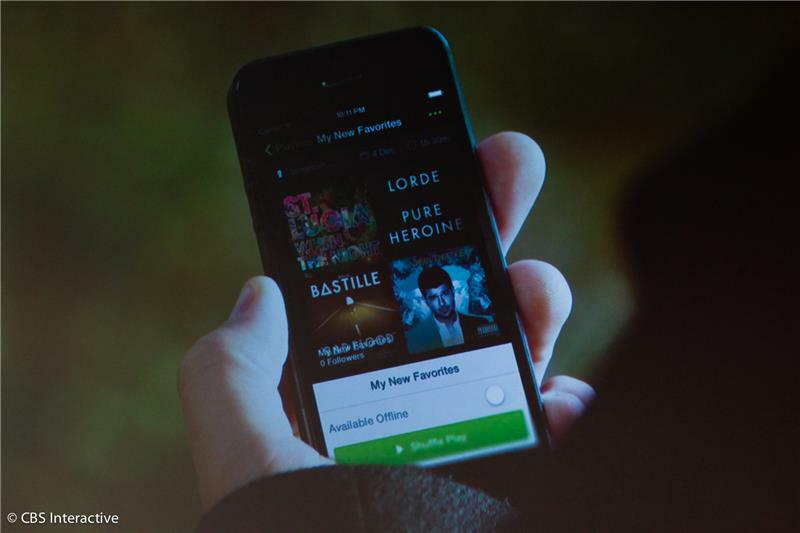 "Now on Spotify, you can Shuffle Play any of your playlists" on mobile for free, he says. The ability to play your favorite artists entire catalog and to play you and your friends playlists means Spotify is "giving people the best music experience in the history of the smartphone." "The more music you play, the more likely you'll pay," Ek says. 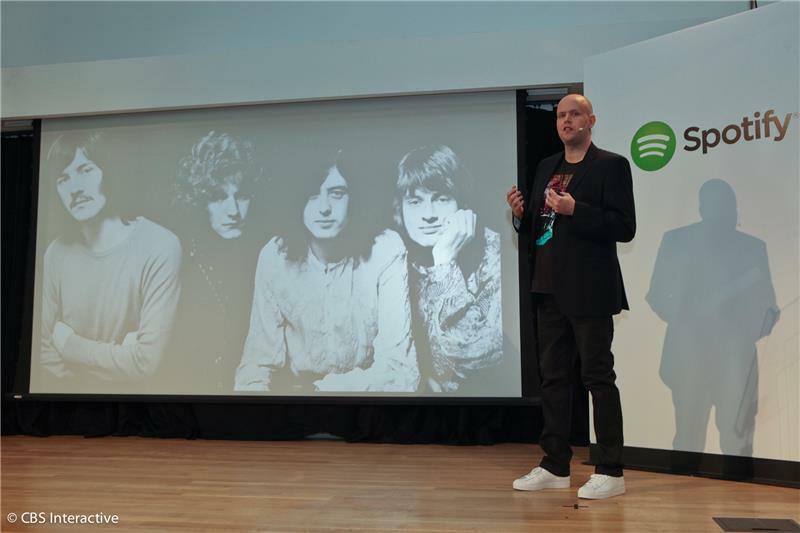 "We're the first and only service to offer this in markets around the world... We're reawakening people's love for music,"
Another announcement: making the world of Spotify bigger. 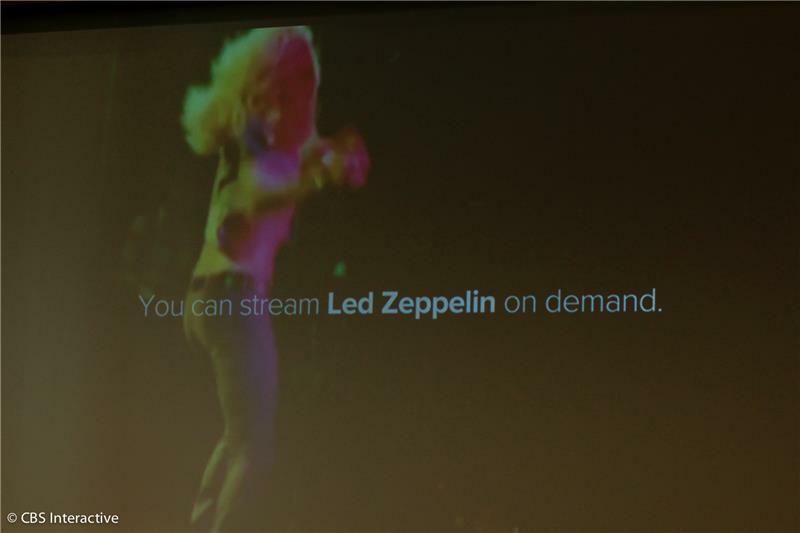 OK, really hard to keep from bobbing head with Zeppelin booming. "I know I'm not alone when I say I can't wait to get the Led out," Ek says, to murmurs of laughter. 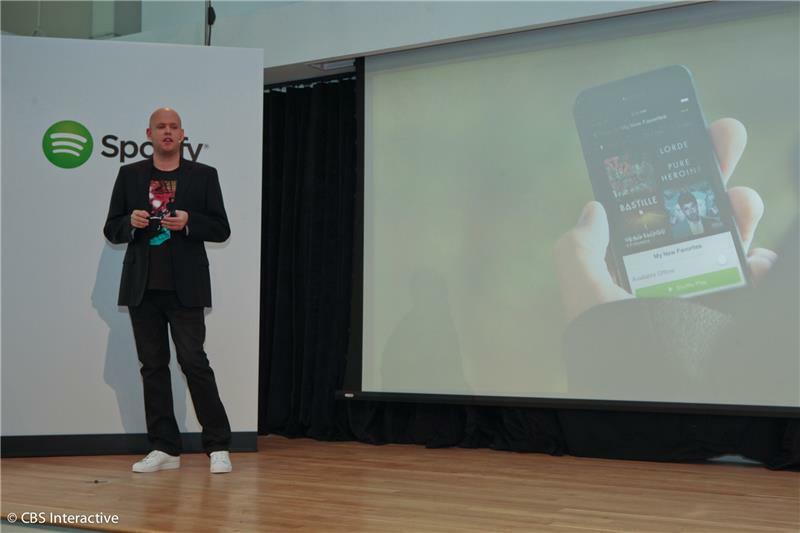 Spotify's very clear mission is getitng more people to access more music on more platforms than anyone could have imagined a few years ago, Ek says. There's a renewed sense of vitality to the artform, because more listeners means more money for the industry, he adds. Ads will still be less than commercial radio, he says. Japan rollout is a question of when, not if, Ek says. Streaming services don't really exist in Japan, and right now Japan is one of the few countries with a declining digital market, Ek says. Ek wraps up, says he really excited for everyone to play with the new product. We also didn't get an appearance by Led Zeppelin in person. This, to me, is regrettable. Apple gave us Elvis Costello! 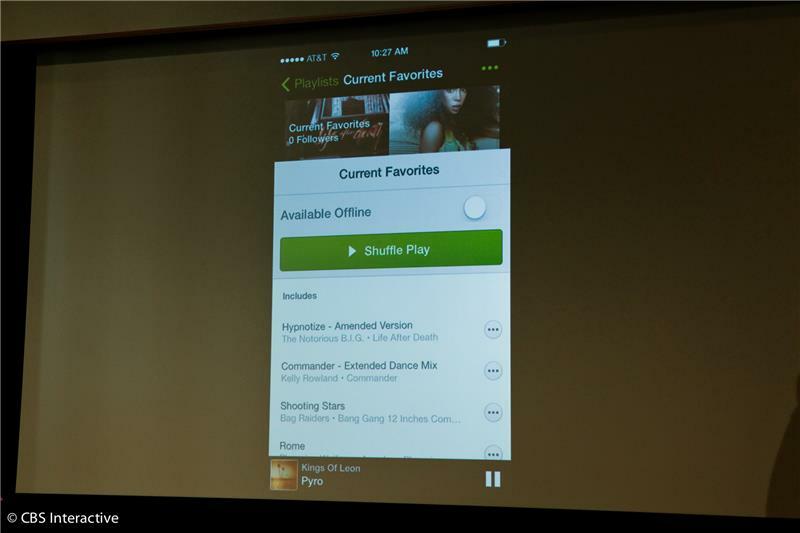 Spotify has also been rumored to be considering a video product, but not a peep on that yet. It makes sense -- Spotify has a lot of ground to cover in music first. Interesting that Spotify is keeping its subscribers numbers under wraps still. It hasn't updated the levels -- 6 million paying, 24 million active users -- since early this year. 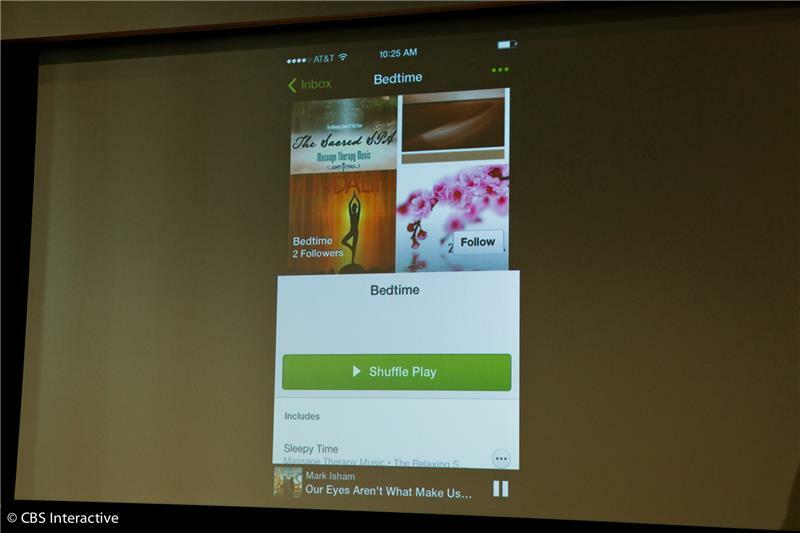 Time to chat with Spotify's folks and check out the product ourselves. Thanks for tuning in!